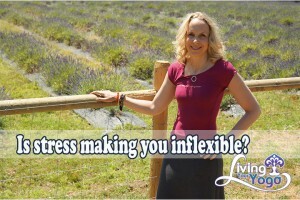 Is stress making you inflexible? : Did you know that your brain encodes strong emotions such as stress, anxiety and anger as acute stress? You may not have considered those day in and day out stressors the same as life or death situations, but your nervous system doesn’t actually know the difference! Your nervous system can not differentiate between outer danger and inner emergencies. Your inner environment which is made up of thoughts, feelings, sensations and emotions is just the same as almost being hit by a car to your nervous system. Even a perceived danger, an imagined one will kick your nervous system into high gear in just the same way as your nervous system is designed to help you lift a car off your first born child. So if you continually worry that you are going to lose your job, this is going to chronically amplify your nervous system. The culture we live in – with its continual stream of social media and consumer culture – endless information can also trigger an endless stream of cortisol in our body. Just because we have become used to the constant overwhelming demands and no longer recognize them as stress, doesn’t mean they are not stressful. When our body’s are constantly in fight-flight- and freeze response, this causes muscular tension. So what is the solution? When we teach our nervous system to relax through yoga, our nervous system can start to tap into our parasympathetic nervous system and come out of overdrive. 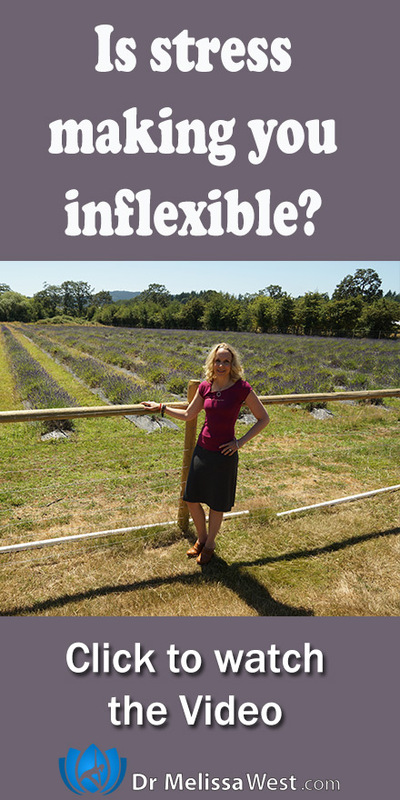 Our muscles can begin to release tension naturally, relax and our flexibility will begin to increase. Restorative yoga is particularly useful for this. We also have several restorative yoga classes in our membership community. Restorative yoga uses props to minimize muscle tension and maximize muscle tension and relaxation. It reduces sensory stimulation and keeps your nervous system calm all things that reduce anxiety. 72 minutes of glorious restoration with every prop you own. Ahhhhhhh. A short restorative class (20 minutes) that uses a bolster and a chair. This short restorative class (18 minutes) has been nick named the Winter Hibernation class. In this class you will get to meet one of the main characters of the Bhagavad Gita. Arjuna is a warrior prince in the Bhagavad Gita and you will learn who is character represents. This 28 minute class is a restorative class and you will need an eye pillow, bolster, and a blanket.